The XL is an extra long range driver that is a former world record holder (693 ft.). It is easy to control and is popular with new players. One of Discraft's more popular discs. The XL is a very controllable fairway driver for all skill levels. Beginners can use it as a first versatile driver and it can also be used by pros for controlled turnovers. 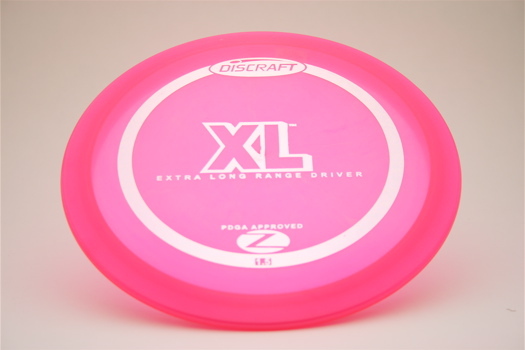 This disc is available in Elite Z @ $13 and ESP or FLX @ $15.